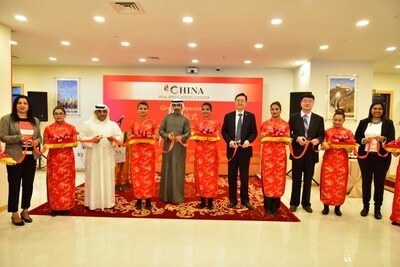 VFS Global in partnership with the Government of P. R. China recently opened a new China Visa Application Center in the State of Kuwait. The launch of the center marks the opening of a third such visa submission facility in the Middle East after the launch of similar centers in Dubai and Beirut, and the fifteenth to be launched globally. A joint statement from the Chinese Embassy in Kuwait and VFS Global said residents applying for a visa to P. R. China need not visit the embassy to submit their visa applications going forward. VFS Global currently operates China Visa Application Centers in 12 countries across the globe – Kuwait, Algeria, Angola, Gambia, India, Kenya, Lebanon, Madagascar, Nigeria, Senegal, D.R. Congo and UAE. Key features of the center include longer operating hours, professionally trained staff, and a Premium Lounge. An exclusive ‘China in Luxury’ retail offering, which offers ultra-premium travel experiences in P. R. China, was also launched at the new center. The China Visa Application Centre in Kuwait is located at Level 44, Arraya Tower 2, Al Shuhada Street, Kuwait City, Kuwait. Visa applicants can direct their queries and appointment requests to +965 22070012 or kuwaitcenter@visaforchina.org or visit the website at http://www.visaforchina.org.